We see Financial Planning as a journey of wealth creation. From the early years when borrowings are high and savings must be carefully planned, through the accumulation years when debt levels reduce and savings capacity increases, and finally into the retirement years when careful planning from the previous phases bears the fruit of financial security. Evolving financial markets and regulatory regimes means more investment alternatives and clients need a financial planner that combines expertise with quality advice and service. Our planners strive to provide integrated financial solutions, proactive advice and service in all facets of financial planning. Their detailed knowledge of the taxation laws also ensures your finances are structured in the most tax effective and secure manner. Financial planning involves formulating a strategy tailored specifically to your financial needs and resources taking into account your age, lifestyle, investment experience, risk profile and investment time horizon. . In consultation with you, our financial planners will regularly review the performance of your investments and make recommendations based on current trends, changes in laws and your circumstances. The regularity of periodic reviews will be agreed with you depending on your particular needs and circumstances. There are now more than 400,000 Self Managed Superannuation Funds (SMSF) in Australia and the number continues to grow. A SMSF is basically a superannuation fund with one to four members who are also trustees responsible for the investment strategy and administration of the fund within strict Australian Taxation Office (ATO) guidelines. At all times the objective of the fund must be to maximise the benefits for the purposes of providing Retirement Benefits to the Fund Members. At no time can your superannuation monies be withdrawn unless you have reached retirement age, preservation age or satisfied the early withdrawal regulations set down by the government. However, a SMSF gives you total control over how your superannuation is invested. Depending on your own circumstances and wishes, it can be ideal for the Do-It-Yourself investor who prefers to make their own Investment Choices for their retirement rather than leave their superannuation to be invested by others. Together with our planners, our firm can attend to all aspects of financial advice and setting up the Self Managed Superannuation Fund for you. Then, our planners are available on an ongoing basis should you need expert advice with investment strategies and planning at any time. If you answered ‘yes’ to these questions, you may be suited to having your own SMSF and suggest you speak with one of our planners..
Our team of specialists can attend to all the reporting requirements and compliance obligations of your Self Managed Super Fund. Our specialists can advise you on what investments are acceptable within the government guidelines and what investments are specifically disallowed. 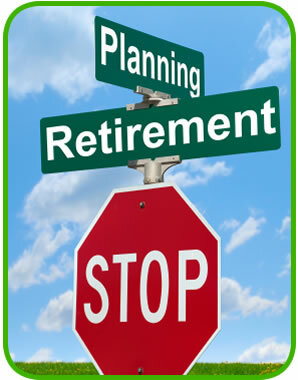 Our planners can assist with your investment decision making. We want you to be able to “sleep at night” knowing that the right people are giving you the professional guidance that is demanded of a Trustee of a Self Managed Super Fund. Also, as part of the strict government regulations, your Self Managed Super Fund must be audited. We can also recommend suitable registered independent auditors to carry out this important task. Whilst there are potentially great benefits, having a Self Managed Super Fund requires time, effort and discipline plus they also attract ongoing fees including annual audit fees. Call our office to organise an appointment to speak with our financial planner where you can discuss your superannuation options including establishment of your own SMSF.